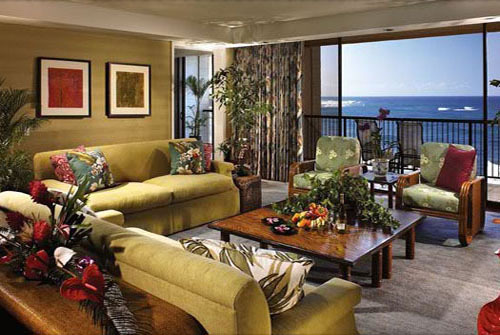 Oahu resorts offer the ultimate in luxurious living. If you have been thinking of a vacation on this picturesque Hawaiian island, plan your stay at one of the beautiful resorts and watch your dream come true. Situated in some of the most spectacular locations on the island, these resorts not only provide the best of accommodation facilities and services, but also offer you the chance to enjoy a stunning view of the Pacific Ocean and the surrounding areas. 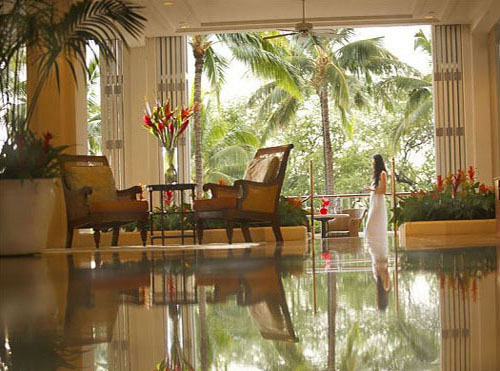 Here are a few Oahu resorts that you can stay in while on the island. 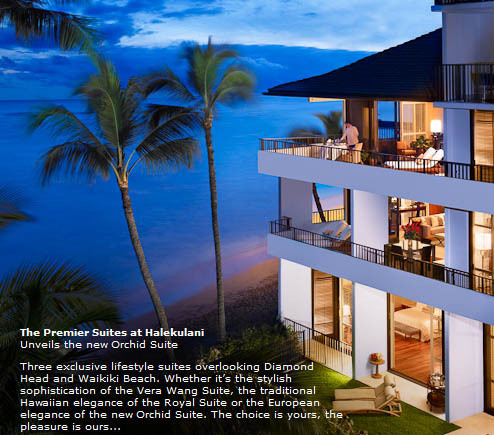 Occupying a private beachfront property on the Waikiki Beach, the Halekulani comprises 455 rooms, a hospitality suite, a business center, and the ultra-luxurious Vera Wang Suite. The rooms are carpeted and fully furnished with television sets, air conditioners, DVD players, and private safes. The resort also boasts of three restaurants and three cocktail lounges. And to add to the indulgence, guests are offered access to the resort's fitness room, spa, and swimming pool. The Kahala Hotel and Resort is situated in high-end Kahala, and offers a stunning view of the Diamond Head and Koko Head craters. Known to be the epitome of fine living, this resort is frequented by a lot of celebrities. The rooms are complete with the most modern amenities, and apart from other regular facilities like 24-hour room service, currency exchange, childcare facilities, and a business center, the Kahala Hotel and Resort also pampers guests with a plethora of entertainment activities. You can spend the day getting a relaxing massage, walk around in the beautiful garden around the resort, or watch the dolphins play around in the private lagoon. And if you are interested in adventure sports, you also have the option of trying out surfing and scuba diving. 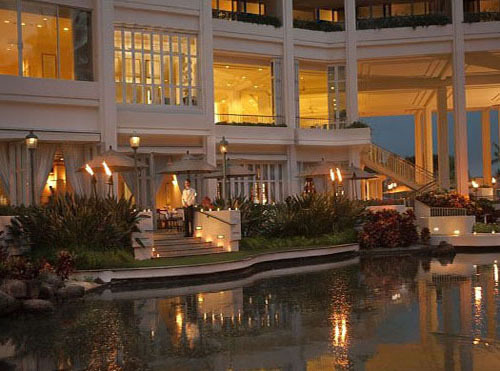 However, the Kahala Hotel and Resort's pride rests on its award-winning restaurant called Hoku's. You can also try out the fare at any of the other five in-house eateries. 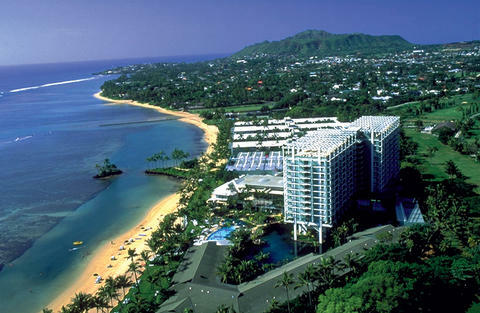 This hotel offers the perfect blend of Hawaiian hospitality and world-class facilities. 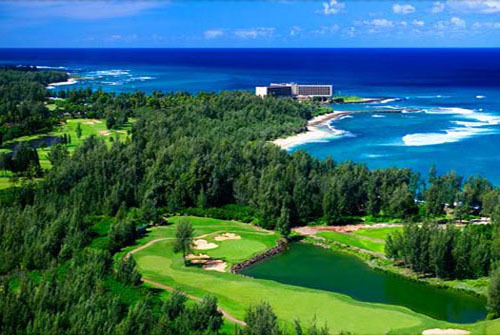 Spread across 640 acres of land on the West Shore of Oahu, the Ihilani Resort is a sports lover's paradise. It not only has six tennis courts, but also a championship golf course. The Spa is particularly well known for its water treatments. You can also go for a regular body wrap or a massage here. The resort's Keiki Beachcomber Club is designed especially for children and organizes a lot of entertaining activities throughout the day. In addition, the Ihilani Resort and Spa hosts weddings that are bound to take your breath away. Whether you choose a fairytale wedding theme, a typical Hawaiian wedding theme, or even a pirate wedding theme, the resort will carry out all the arrangements to ensure that the event is one your guests are not likely to forget in a long time. The Ihilani Resort and Spa is one resort in Oahu which promises guests an experience that will stay with them their entire lives. If you like the big city feel and want to spend your vacation in the heart of Waikiki, this is the place to be. Surrounded by the throbbing city of Honolulu, the Sheraton Waikiki Beach Oahu Resort offers easy access to some of the best shopping malls and restaurants in Oahu, as well as the most popular tourist destinations. The resort itself has a shopping arcade complete with over 20 specialty stores, and several multi-cuisine restaurants. The rooms are extremely plush and have all the facilities you would require during your stay. Various water sports facilities are also available, and every night, traditional Hawaiian entertainment programs are organized by the side of the two pools in the resort. Built along a secluded shoreline on Oahu's North Shore, the Turtle Bay Resort has undoubtedly one of the most picturesque settings imaginable. Its 800-acre property includes ten tennis courts, two championship golf courses, and trails for hiking, mountain biking, and horseback riding. And within a radius of just 15 miles are Oahu's prime attractions like the Polynesian Cultural Center, the Dole Plantation, and the North Shore Marketplace. The Turtle Bay Resort is also famous for its surfing school. The bay itself is on the west of the resort, and many surfing championships are held here. Snorkelers and swimmers can also explore the coral reef and its exotic marine life in the sheltered waters of the Kulina Cove. Apart from this, the resort's Spa Luana offers a wide variety of body massages, and skin and hair treatments. The 375 guestrooms, 42 beach cottages and ocean villas, and 26 suites have the best in facilities and services. 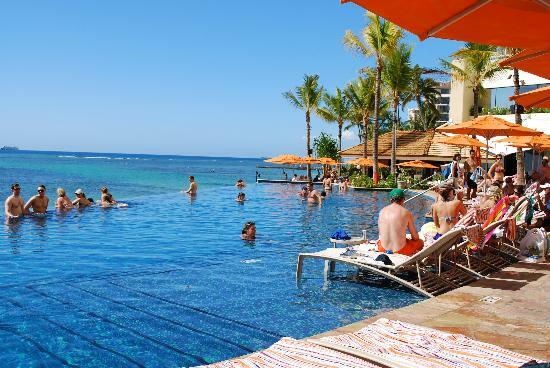 You can spend your day tucked away in a corner of the resort's palm-fringed pool, or try out different kinds of cuisines in any of Turtle Bay Oahu Resort's restaurants, the 21 North, Palm Terrace, and Sunset Room. If you are considering spending your vacation in an Oahu resort, don't miss out on this one. Share Your Oahu Resorts or Hawaii Vacation: We're looking for stories, tips and experiences from any Oahu vacation you've been on. Why not take a few moments and Share it with everyone!